Yesterday I heard a quote from Carrie Fisher, who was once Princess Leia. She said , "Resentment is a poison that you drink and wait for the other person to die." It seemed so true and wise. I knew I had to write this in my notebook, but I could not find it, so I chose to remember it instead. 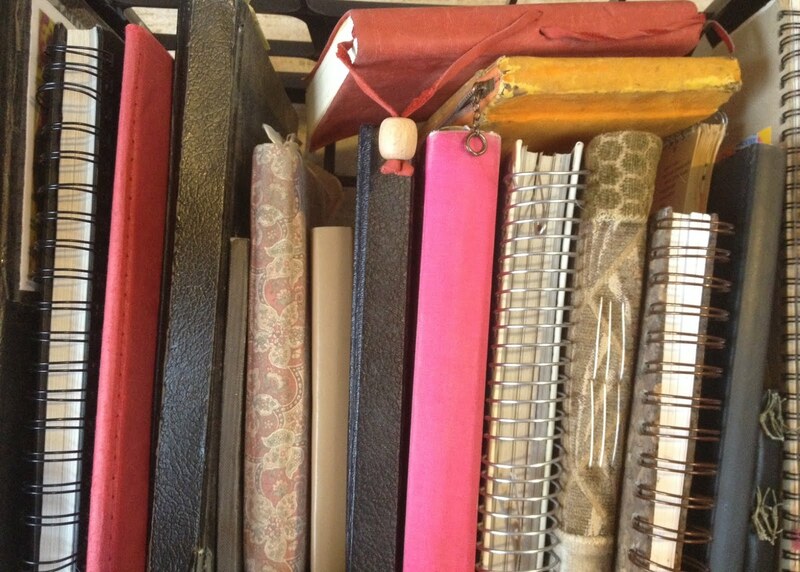 Notebooks to me are remembering devices and mine tend to be as patchy and disorganized as my aging memory. 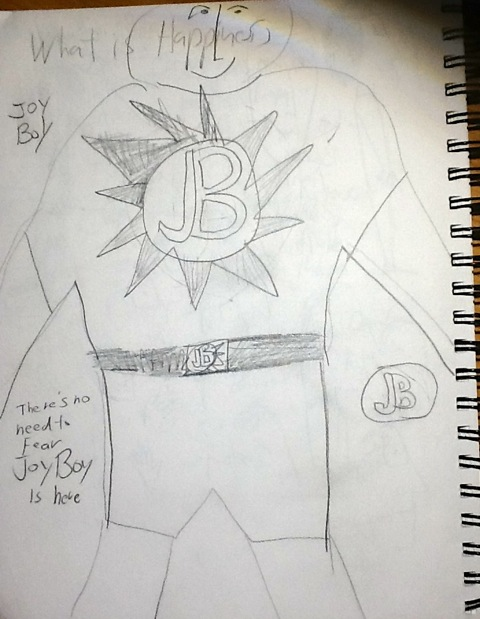 When Amy asked me to post on this blog I decided to find the oldest notebooks I could find and see what was in there and why. This is a bit like mining the past for flashes of inspiration and insight. Note: my notebooks come in all sizes, but my favorite ones are often the big 8.5" x 11" blank sketchbooks. Below is an old photo of me at 19 getting bit in the nose by a pet raccoon named Flem. 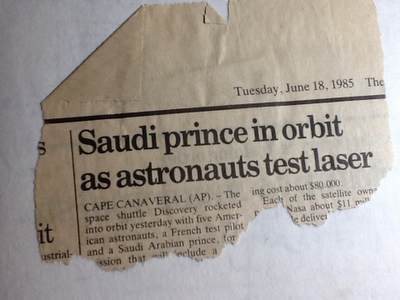 I clipped this newspaper headline in 1985. You can't possibly make this stuff up. 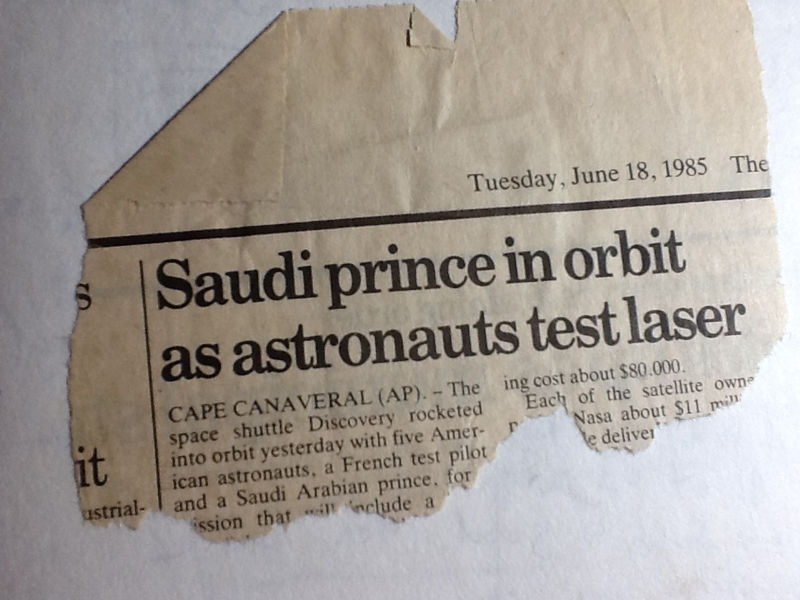 I would make this into a cartoon where a bearded man in long caftan is orbiting the earth as astronauts attempt to shoot him down. I don't know why I collect these silly things. I love to collect quotes from famous people and Woody Allen is one of my favorite people to quote. Lines like "I'm not afraid to die but I don't want to be there when it happens." is just so much more than a one-liner. The punchline is an opener not a closer. It makes you think more. 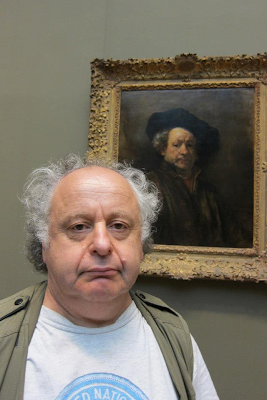 I am not as pessimistic as Allen, and I see his humor as signs of great optimism. "What if everything is an illusion and nothing exists. In this case I definitely overpaid for my carpet. " I love how Allen moves from the abstract to the banal so effortlessly. He loves the word carpet because of the explosive syllables like chicken and hockey puck, the all time best punchline word (comedy craft). Cartoon Ideas. I love this one. because it is a sort of an oddball pun. It is something that only I might find funny and that is fine with me and my notebook. This is the first time it has been made public. Here is a rough for a cartoon I would like to finished. Complete this sentence, Testing companies see children's brains as.... A B C D E. 'Glad I looked in this 20 year old journal. I found something very relevant for today's testing infected schools. Truth telling cartoon to come. I use my notebook to take notes and I love to cartoon quotes I hear. This is a quote from Abdul Baha about how to live. Seeing my sketch brings the quote to life. 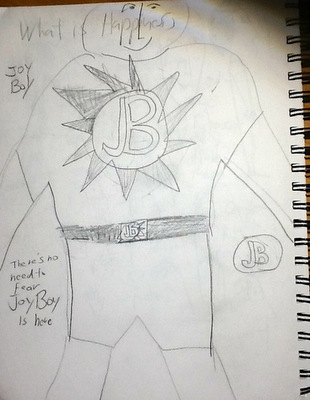 My new superhero, Joy Boy. 'Not sure how he will stack up against Spiderman. First article that proves that Neanderthals were not modern humans. 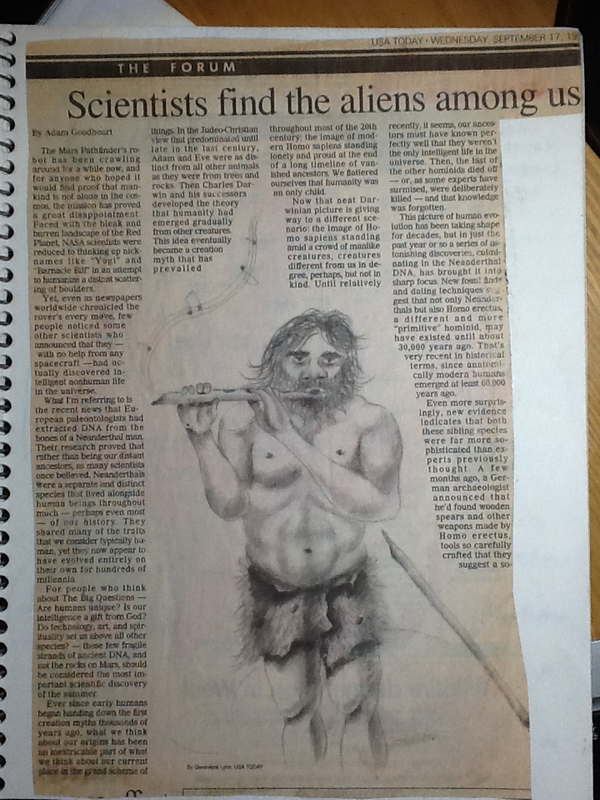 They were an alien culture. I love the lead which talks of the mars rover and then says that the real alien life was on earth itself. There is something about this lost race of man that inspires me. What if one guy survived. What would he think of us? Here is something I clipped from Newsweek: Barbie at 50. That is a poem I must write. What happened to those thighs? But wait a minute, why isn't Newsweek talking about Ken at 50??? 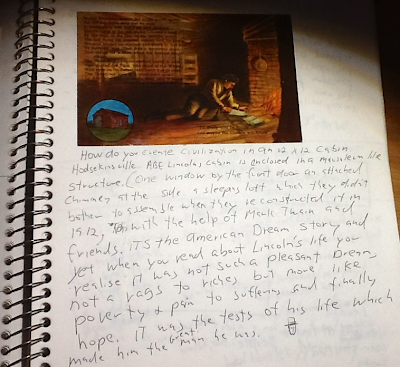 After a visit to Lincoln's cabin in Hodgkinsville, Kentucky I stuck this postcard in my notebook and wrote about it. Lincoln's greatness grew from his suffering. He is an example of how nobility of character can defeat even the worst pain. I love Abraham Lincoln and should write about that. He was the best of America. 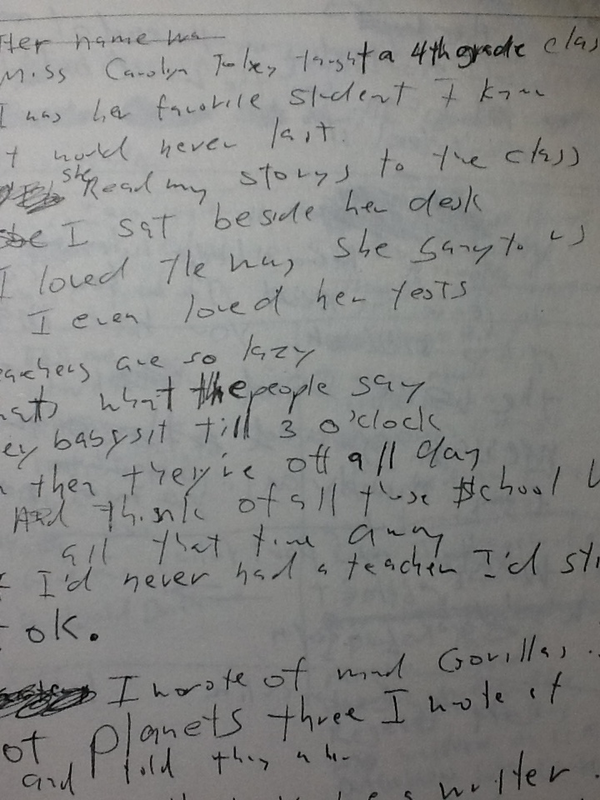 Here is an early draft of a finished song about my fourth grade teacher, Miss Foley. I see that I tried to use more real details about her that fell out of later drafts. 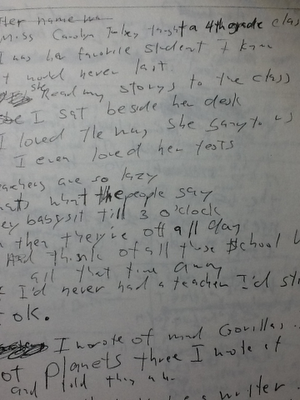 I wrote a story about a gorilla in her class. It is great to look back on where a song started. My friend Carl Anderson is a Beatles nut and shared with me some early Beatle sessions recordings. Some of their best songs started as the tiniest fragments. An idea is a seed. A notebook is a seedbed. 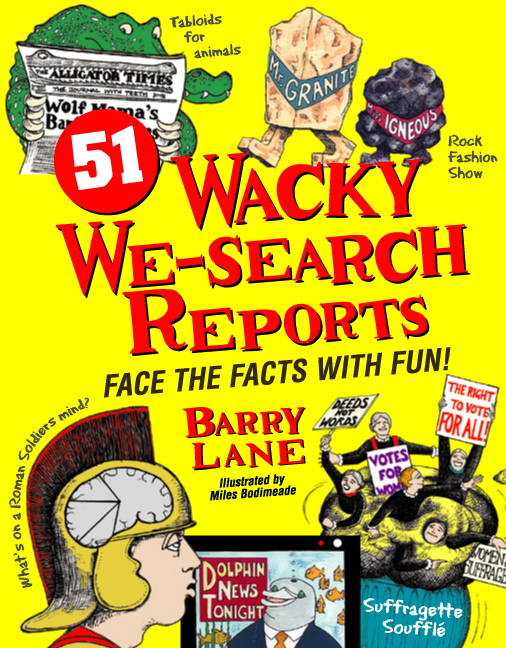 My YouTube channel barrylane55 is a notebook of sorts, with over 200 movies that have chronicled people I have met in the last few years on the road. Here is a video of Tom Newkirk explaining what Donald Graves took from Donald Murray: to see children as writers. 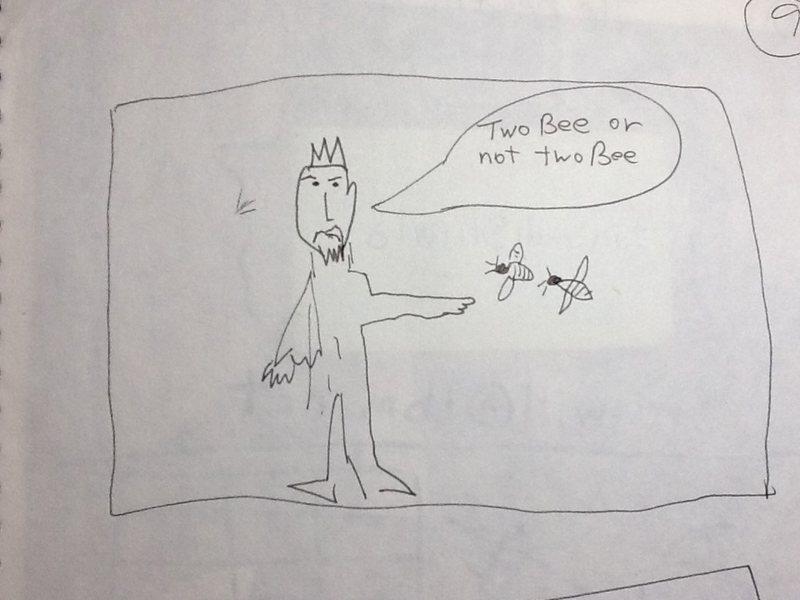 When we teach with notebooks we create real writers. If you are a writing teacher, the best thing you can do is create a class of writers and the best way to start is by giving them a notebook. Tom Newkirk Talks about What Donald Graves Learned from Donald Murray. If you are a teacher, the best thing you can do is create. Here is one of my finished cartoons. Here's something to try... Write from the point of view of an alien writing a letter home, and describe normal human activities like watching TV, reading, doing dishes, eating. Remember that aliens see things totally differently and would have different words for the things we take for granted. A TV might be a light box. "The humanoids sat in chairs absorbing blue rays from the light boxes." A toaster might be a Slice popper. A house could be a human cage. You can even tackle issues like global warming and war. I love this exercise because it allows us to stand back and see the humor and irony in the everyday. 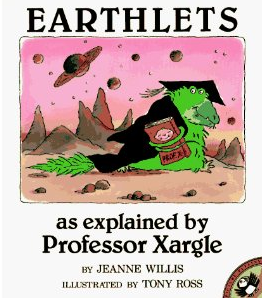 The book EARTHLETS: AS EXPLAINED BY PROFESSOR XARGLE, by Jeanne Willis, could be a mentor text. 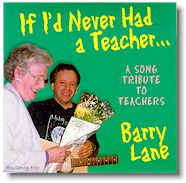 Barry Lane's first album of children's songs was BARRY LANE'S RECYCLED FAIRY TALES. He has authored many books for teachers and students, including 51 WACKY WE-SEARCH REPORTS and BUT HOW DO YOU TEACH WRITING. He currently presents workshops on writing for teachers and assemblies for students nationwide. For more information about his FORCE FIELD FOR GOOD concert/assembly, visit www.barrylane.com. Barry has generously offered a wonderful prize package including the two books and CD you see below! Please leave a comment on this post to be entered into the drawing; a winner will be chosen and announced here and on The Poem Farm Facebook Page on Sunday, September 30. Please check back! What great entry! 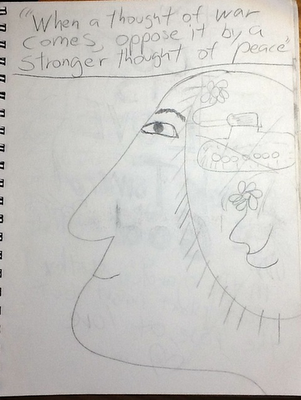 Wish I still had my old journals. 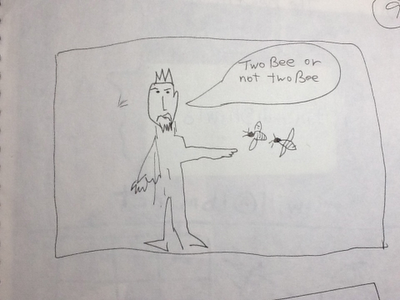 I love all the entries with illustrations. I listened to several songs on the youtube channel-the Rigor song is speaking to many of us right now with all the testing we have to do. I just want to teach (and not to a test)! I also love Tom Newkirk's little movie-you have to "treat young writers as writers". I hope I have already instilled that in my 2nd graders. I have students at all stages right now and they are humming along in the process! I am working with teachers who teach all ages now, but taught middle-school in a self-contained classroom for a long time. I'm convinced that notebooks made them writers, as you said, & they also slowed them down so they could think through things. Especially since computers have become more & more in the forefront of students' work habits, they seem to be in a hurry, want to finish. Notebooks allowed the thinking, the idea-making, the creating that happened less in other places, except art. Sketchbooks too kept them slow & contemplative. Thanks for your sharing of those older ideas too. What a treat to see. 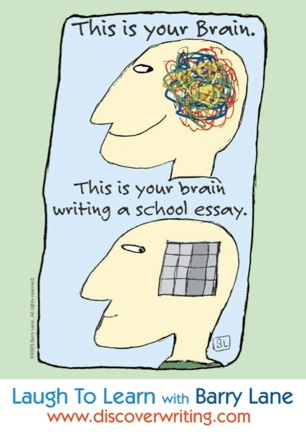 I think there is even research that shows you remember stuff better when you write it down with a pencil or pen. Typing is new in the evolutionary cycle. Notebooks are closer to drawing in caves. Thanks for the comments. I came upon this blog through Barry's facebook post. I'm glad I clicked the link and read through this. 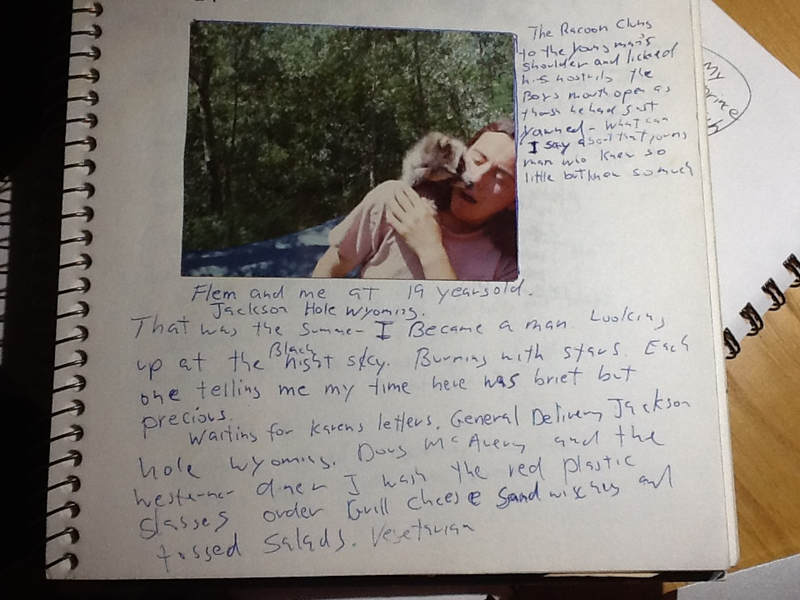 His raccoon picture along with his reflections on the past reminds of an ariel photograph of my grandparents house I took to school to share with my kids. I've been so busy, I put in the corner and forgot to share but I'm going to pull it out on Monday. Just like Barry's picture, it's full of memories and great things to write about. 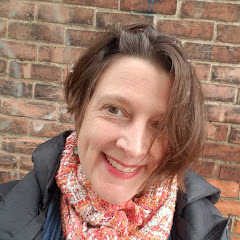 This is a great blog! Can't wait to read more. Thanks Melanie. I like having kids draw ariel maps and write about places on the maps. I need to pull out my high school journals. This is a fabulous post!! We are always looking for ways to show our students how they can use their Writer's Notebooks, and this a perfect example of the variety of entries they can make! It also shows where writers get their ideas and inspiration from.... from the world all around them! Thanks for posting this! Glue stick is and scissors are great writer's notebook tools, too. 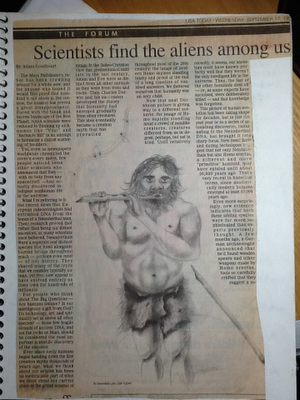 My favorite notebooks are filled with these odd clippings, a lost art in the digital age but still possible. I loved, loved, loved this post! Just two weeks ago my fourth grade students decorated their writer's notebooks and now they get to fill them up. I so enjoy when they share what they have written. My fingers are crossed to be the winner. The Barry Lane prize pack looks amazing! Thanks for posting! Thanks Deanna. Notebooks are great places to experiment. There is so much gold on this site! Thank you, Amy and thank you sharers, especially Barry! I love how you used the Lincoln postcard in your notebook. And your clippings and cartoon ideas. 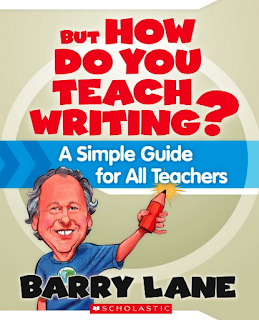 If we give kids tools, models, time to write and engage with them and their ideas, well.....then maybe we would actually have real writers grow in our classrooms. 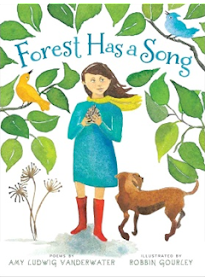 I like the songs Amy LV has shared at The Poem Farm especially the one about the child being more than a number or a test score!! Also thank you for the Tom Newkirk clip. Donald Graves was/is my hero! I have read and re-read so much of his work and many of the other pioneers and leaders (current ones, too) in the writing-reading workshop world. 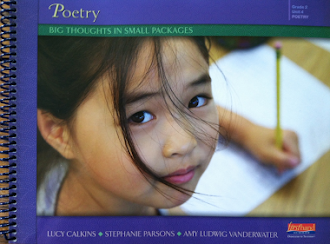 Living Between the Lines and Lucy Calkins' intro to writer's notebooks was a huge help to me as a 5th grade teacher working virtually alone trying to bring this approach to life in my area back in the 80s and 90s! Teachers are lucky to have these resources to inspire their students and give them models! From Janet F.
What a wonderful article! It has inspired me to do something similar with my brand new Moleskine. I was fortunate enough to see Barry in person many, many years ago when AFTER THE END was first published. He cracked a roomful of teachers up and gave us great tips for teaching revision. I also have Barry's DISCOVER THE WRITER WITHIN, and an oldie, but goodie, WRITING AS A ROAD TO SELF-DISCOVERY. 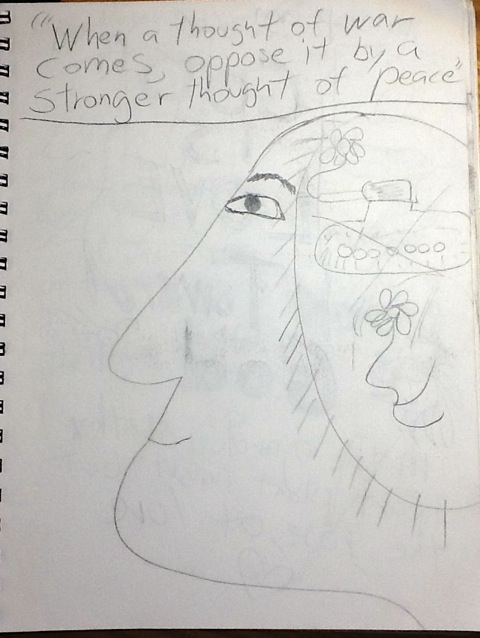 It was fun to peek inside his notebook today. Thanks, Amy! 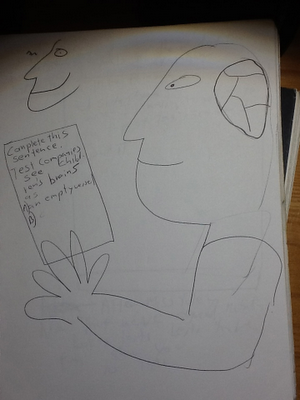 Thank you, Barry, for sharing a peek into your notebook. You make me feel like a writer as I have a collection of random quotes, clippings and notes found on walks! Thank you, Amy, for keeping the stream of notebooks flowing! Love it! 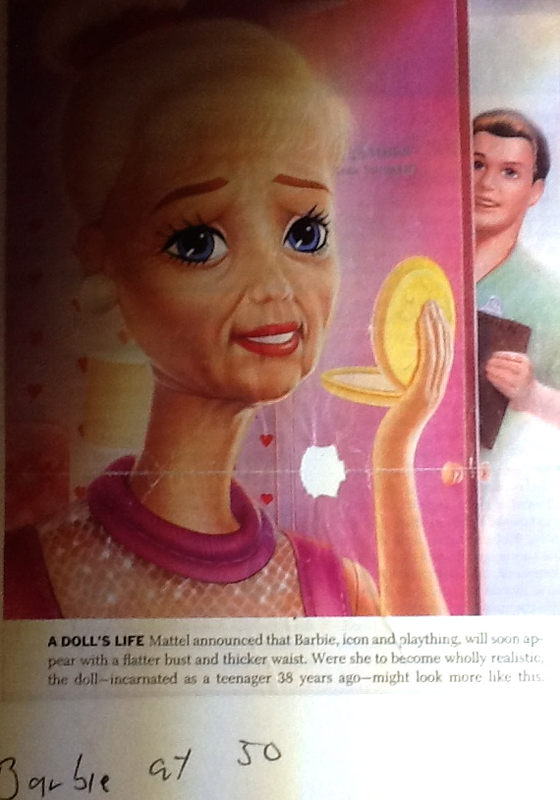 Barbie at 50 gives me pause...she looks so regretful and lost. How NOT to become THAT!! Barry, your quotes and "alternate organization style" is comforting and encouraging, as my journaling concurs. I love the "seedbed." The garden metaphor works so well, with the organic way that life and writing meet, collide, cohabitate, and develop together in the journal. Thank you!